In 1969, a group of passionate young entrepreneurs founded Celestial Seasonings upon the principles of promoting a healthy lifestyle with flavorful herbal teas, which to that point had only been viewed as medicinal. The herbs were harvested by hand in the Rocky Mountains, and then dried and packaged in hand-sewn muslin bags and sold to local health food stores. By staying committed to their vision, the founders of Celestial Seasonings turned their cottage industry into an almost overnight success. 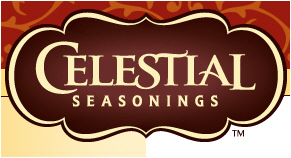 Since day one, Celestial Seasonings has always been about people and passion. The founders hoped to foster the values of beauty and truth through their products and their distinctive packaging. They wanted the tea drinking experience to fulfill all the senses, and committed to featuring specially designed artwork and carefully researched words of wisdom on each package to complement our delicious flavors and aromas. That vision lives on today, even as our product line has extended beyond tea to coffee and culinary spices. We invite you explore our world of unique ingredients combined to create more than 100 delicious and healthful all-natural products.